When the film industry needs somebody to jump out of a building, be thrown through a window, run across the top of a moving train, or perform countless other extreme maneuvers that are on display in blockbuster action films, it’s not the movie stars they call on. No, they call on elite athletes to step in. Elite athletes in big-time Hollywood productions go nearly unnoticed because that’s exactly what they are supposed to do. Go unnoticed. 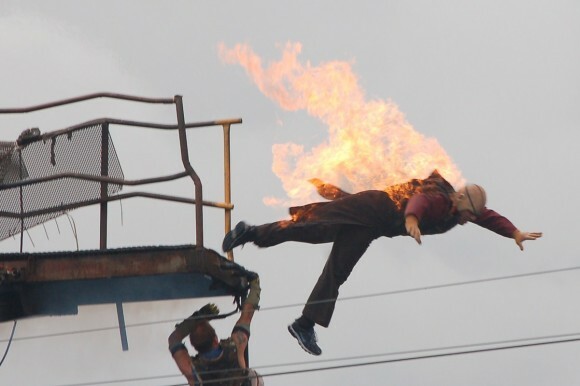 Although some actors and actresses do some of their own stunts, many are far too dangerous. 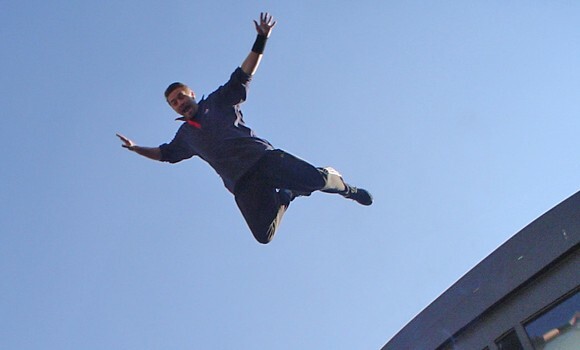 Tom Cruise is known to perform a lot of the action in his movies, but when it’s time for an extreme stunt, an elite athlete is called in to take the pounding or perform a maneuver that Cruise can’t do or is far too risky to do himself. White is a chiropractor, and at T-Minus Productions he is a stunt coordinator and second unit director. Throughout his career, he’s seen athletes from just about every sport perform insane stunts that a typical person wouldn’t think of trying. He considers stuntmen elite athletes because their workout regimen is on par with any NFL football player, NBA basketball player or Olympian. 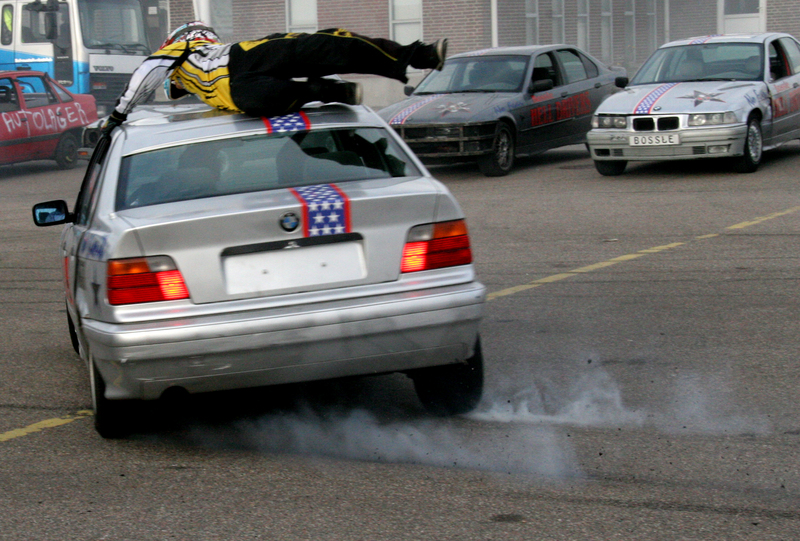 Stuntmen need to be able to be able to move their body to a higher degree than most competitive athletes, because a misstep could lead to them being hit by a moving truck. Stuntmen are in the gym several times a week, and White said that stuntwomen are in the gym even more than that, performing intense workout programs to get their bodies in condition to take on an extreme workload. For stunt doubles, they have to be on the same workout regimen as the star that they are stepping in for. When Dwayne “The Rock” Johnson bulks up, Tanoai Reed, Johnson’s stunt double, is right there in the weight room with him and is on the same diet so that he can match Johnson’s big and chiseled frame. Reed needs to be big to double for Johnson, but White points out that most stuntmen’s diet and exercise regimens are not about being big and bulky. Strength is of great importance, but muscle flexibility is the key as stuntmen have to be able to position their bodies just right to hit their mark. They hit the weights hard, but they also perform active isolated stretching, yoga, band workouts, a lot of cardio such as running and hiking, and they have taken up parkour, which helps them jump and tumble over and through various objects. Another workout that stuntmen have taken up is paddle boarding, a sport requiring athletes to stand on a huge surf board using a paddle to move themselves through the water. 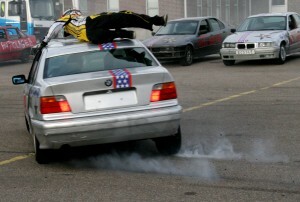 As important as it is for a stuntman to move his body, it is just as important to stay healthy. White has had his work cut out for him over the years, as he helped a number of stuntmen bounce back after taking blows that would have the average Joe laid out. Staying healthy and in great shape also means having a healthy diet. 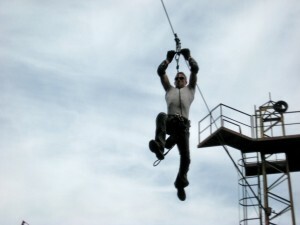 Stuntmen train their bodies year-round for their profession, just like any elite athlete, because their bodies are their livelihoods. Their athletic abilities may not be noticed by most movie-goers, but the athletics that they can perform are on par with any athlete.